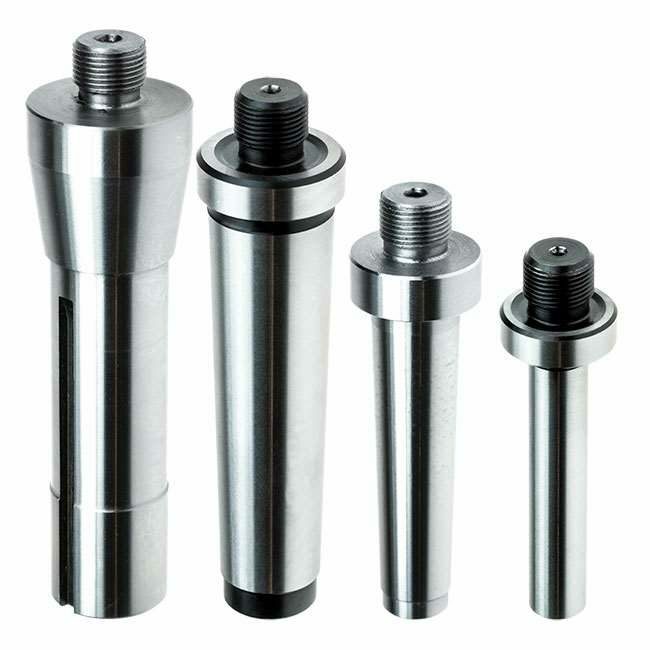 ø30mm metric boring head with M14x1.0mm mounting thread. Supplied without arbor so you can choose the right one for your machine. 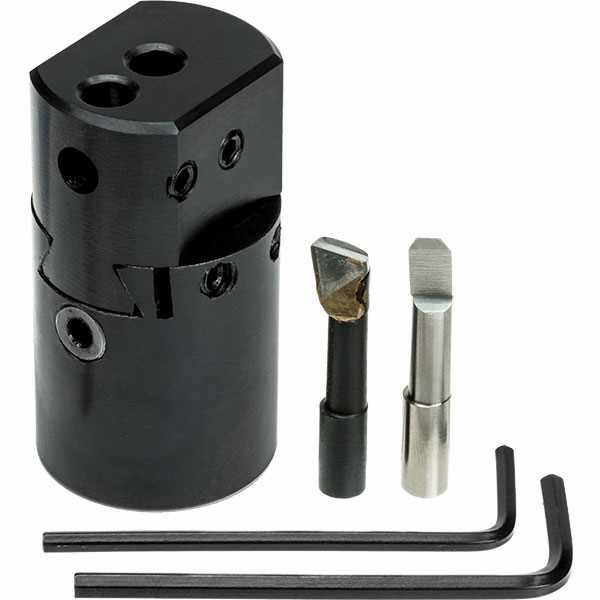 The head is suitable for ø6mm shank boring tools which can be mounted in three different positions. 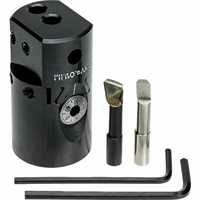 1 Carbide Tipped Boring Tool. Arbors: 12mm Straight Shank, MT2, MT3 and R8.